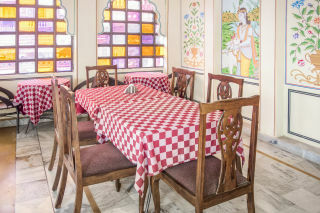 Located in the vicinity of Nahargarh Fort and Hawa Mahal, this is an offering of a private room in a heritage stay, which can accommodate up to three people. 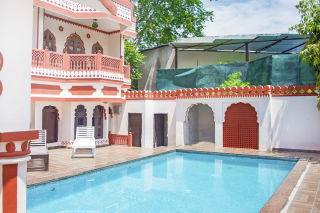 The retreat boasts a swimming pool and a rooftop restaurant, and the room on offer is ideal for a small group. 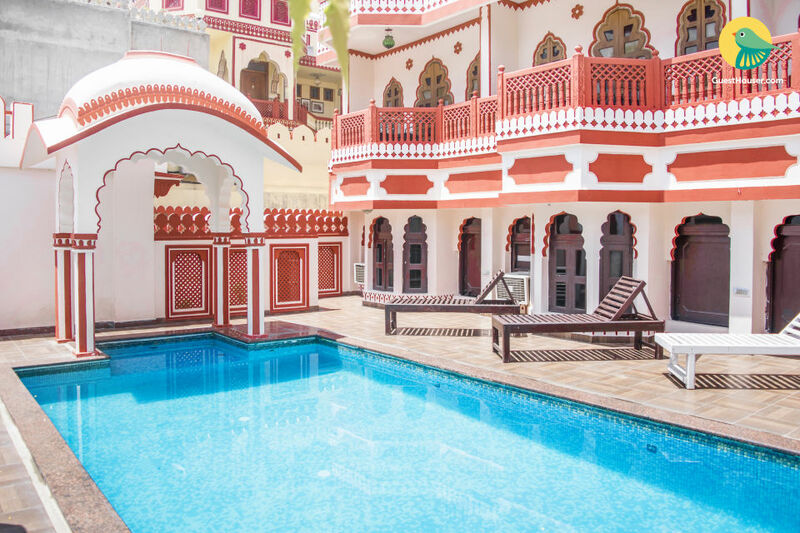 Your Space This holiday home boasts a traditional Rajasthani structure with corbelled arches and latticed partitions. The entrance of the property is embellished with stunning craftsmanship, which leads up to the brick-red and ivory-white structure. With a deck lined with sun loungers, the swimming pool is perfect to take a refreshing dip on a sunny day. 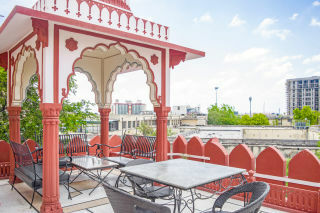 There is a rooftop restaurant with ample seating making it an ideal place to sit back and relish a delicious meal. The space is dotted with arched canopies for a memorable dining experience. Inside, the living room is furnished with comfy sofas and a glass-topped coffee table. 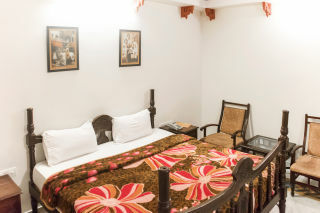 The walls are adorned with vibrant Rajput murals. The interiors flaunt painted columns, ceilings, and arches. 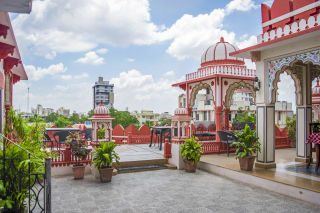 The second living space has garden benches and antique coffee tables, where you can savour a delightful cuppa in the company of fellow travellers. 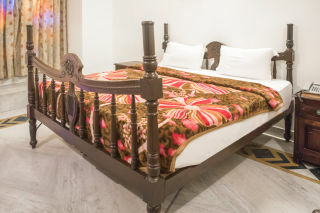 The room on offer is furnished with a comfy double bed with side tables, two chairs, and a glass-topped coffee table. The attached bathroom is fitted with western sanitary ware. Exquisite is just the word to describe the place.